It’s a balmy 19° F (-7.2° C) here in Golden today with the sun shining brightly and snow on the ground. It feels like Christmas. 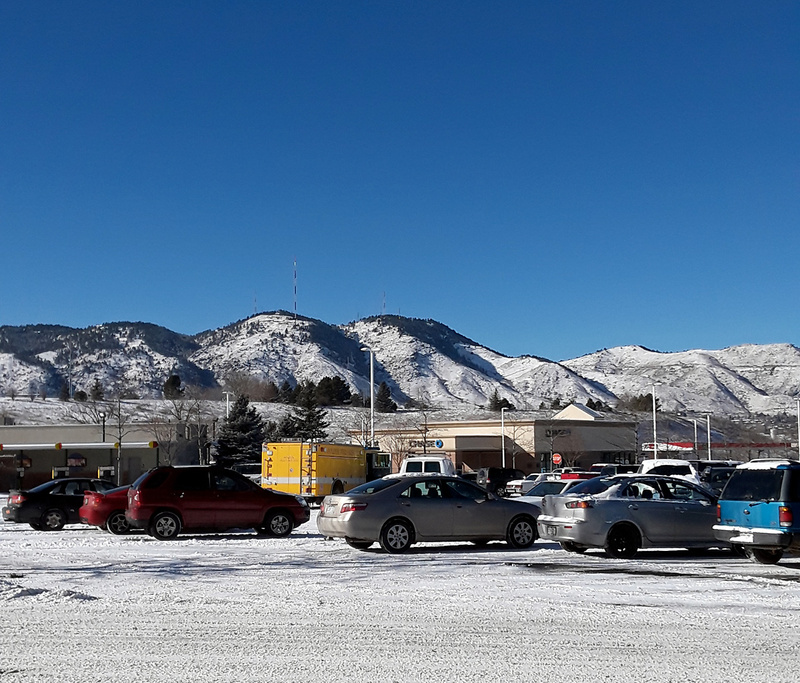 The King Soopers parking lot in Golden before the Broncos’ game, Christmas Eve, 2017… all Bronco apparel 50% off. The 3-song EP, Snow Day, was released yesterday on a day when it was snowing – yes, completely planned of course – and is now available as a free download on Bandcamp. You can listen to it here… just click on the ‘Download’ link in the player below and you’re there. In the ‘Name Your Price’ field, enter ‘0’, and add to Cart, and it’s yours free, through 12/30. Merry Christmas to you and thanks for listening. Snow Day will be released on CD Baby, iTunes, Amazon MP3 and the streaming services this next week, by New Year’s 2018. The release of this EP finishes up the release of songs – at least for the time being – recorded during the “We Are All Haunted…” sessions from April, 2016 through early 2017. It was actually one of the most prolific creative periods of my life. 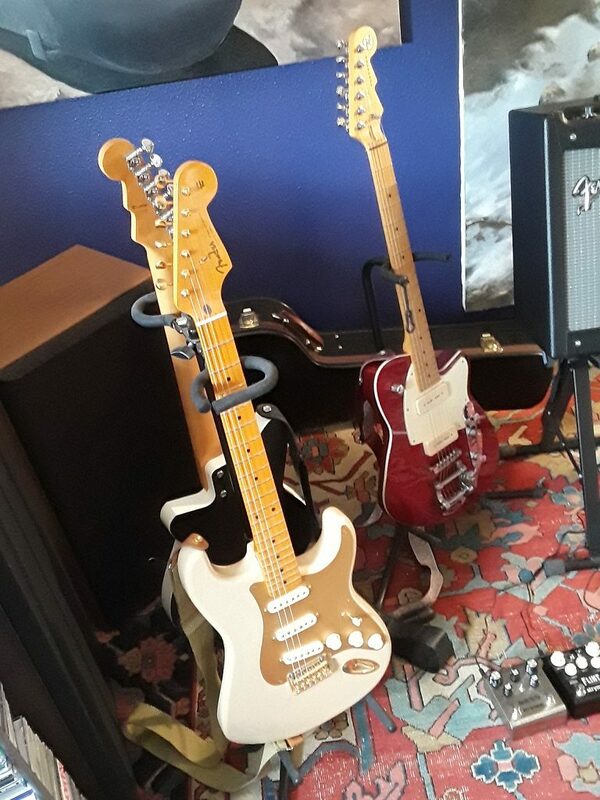 32 songs were recorded during that time for the album; at least 10 more of those songs will be released at a later date, probably in a boxed CD set (yes, really… there will be one) when the budget allows. 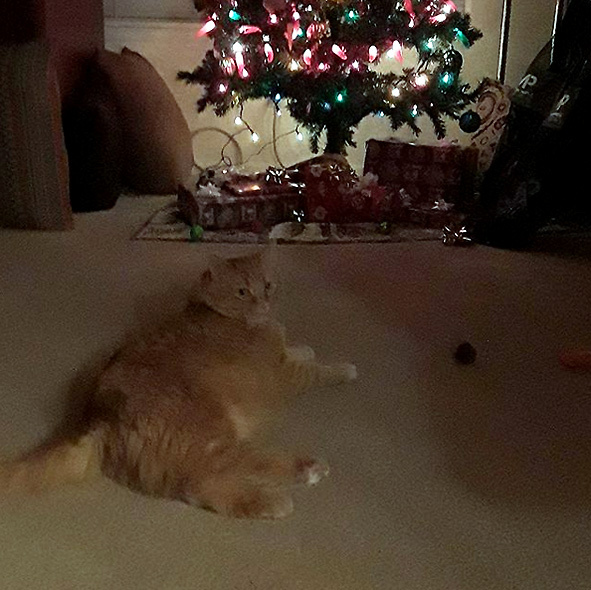 For now, it’s Christmas, it’s the holidays and we celebrate and enjoy chilling out for a few days. 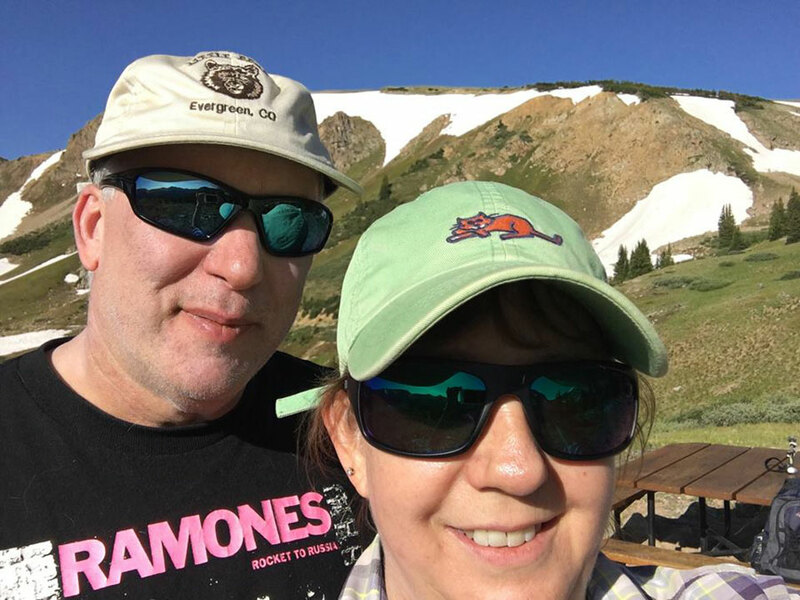 Ski season is upon us now in Colorado and Erin and I will be going up to A-Basin in a couple of weeks. 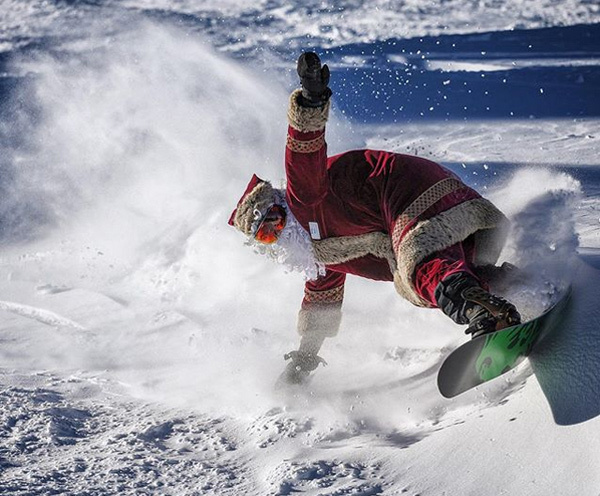 It will be a very busy ski season for us the next 3 months and I’m looking forward to it. For the first time in my long skiing life I will be wearing a helmet. …Much later in the day now. WordPress will show this as posted on December 25th but it’s still Christmas Eve here. We’ve watched the Cowboy game – a very lackluster effort in which they lost 21-12 to Seattle and was a complete waste of about 3 hours – and then It’s a Wonderful Life interspersed with the first installment of A Christmas Story on TBS which was considerably more satisfying. The latter will be on tomorrow most of the day, in the background, in an ambient sort of way. And there will be the traditional grilling of the ribeye steaks – no turkey or Chinese for us. It’s supposed to warm up into the 30s tomorrow. So from Erin and I, we wish you a Merry Christmas and the very best during this holiday season wherever you are and whatever you may celebrate. Album cover for “We Are All Haunted by Something”, scheduled for release in July 23, 2017. 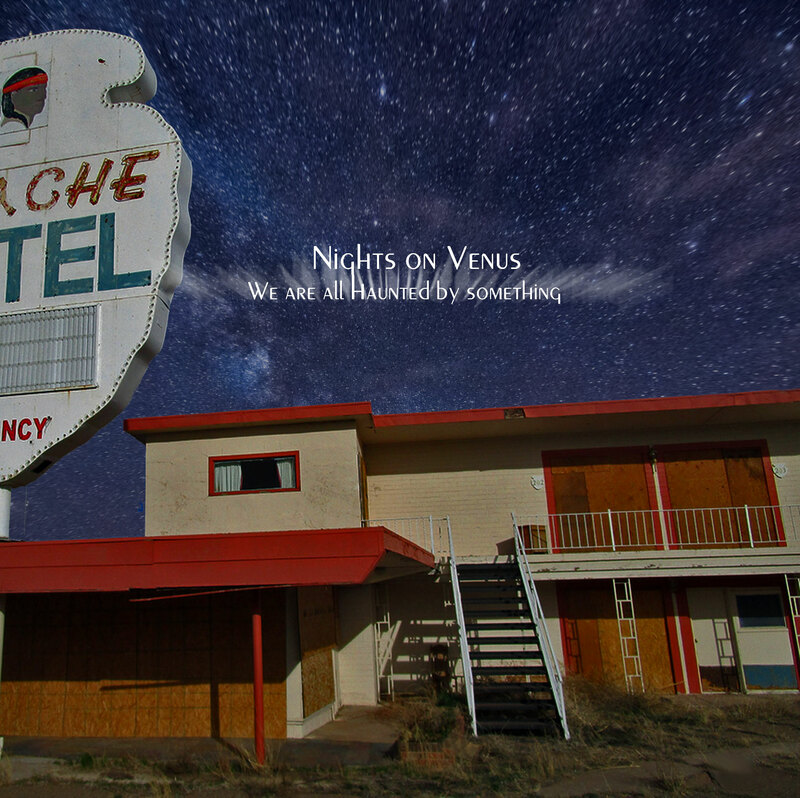 This is the old abandoned Apache Motel in Tucumcari, New Mexico – shot taken in 2009. The image of the night sky is from Justin Marsh, added with his permission. The most recent full-length album, “We Are All Haunted by Something” was released in July, 2017. Includes the 2-song single “Speed of Life” and “Confirm Humanity (I’m Not a Robot)”. Now available on iTunes, Bandcamp, CD Baby, and Amazon MP3. “Speed of Life“, “Unearthly“, “Santos“ and all previous Nights on Venus albums are available as MP3 digital downloads on Bandcamp, CD Baby, iTunes, Amazon MP3, and also the NoV Website. 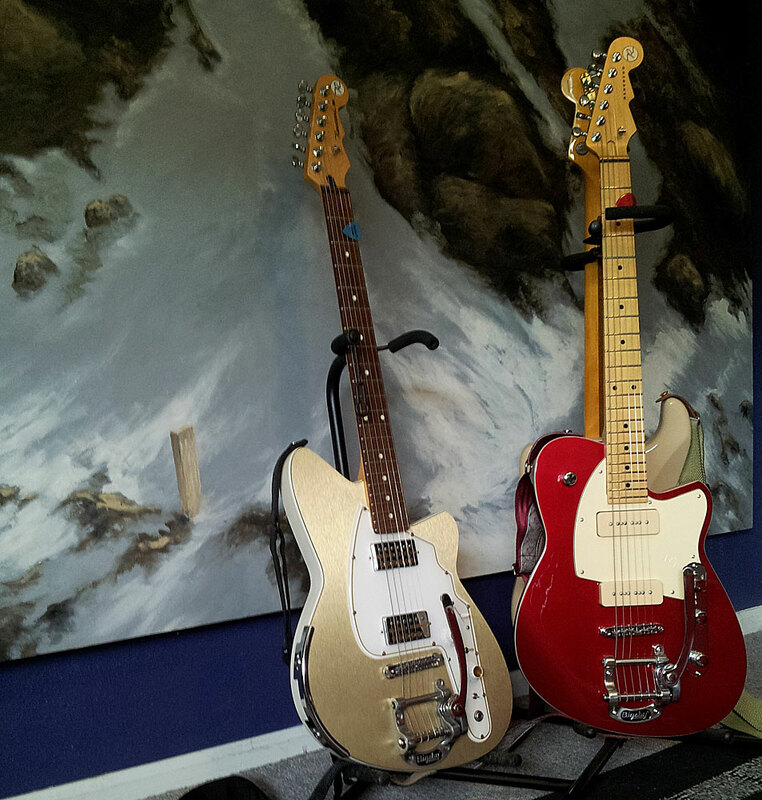 My two Reverends… “Goldenboy” on the left (a Rocco from 2002), and “Prince” (a Charger LE with the P-90 pickups from 2014) – not purple, but it came to me from Minnesota. Follow Craig and Nights on Venus on Twitter, Instagram, and Facebook. 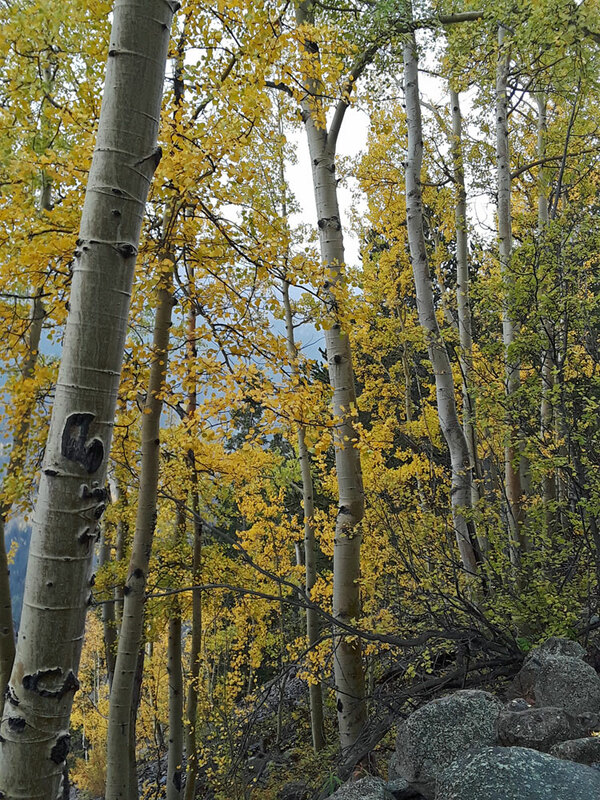 October, my favorite month… always. Also Erin’s (Shmoopy). 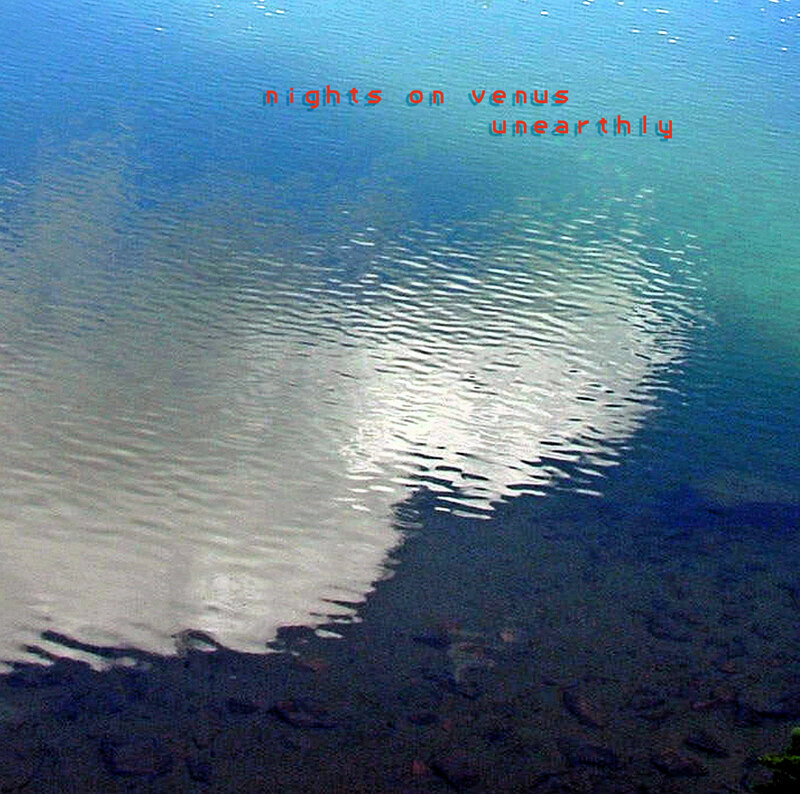 Nights on Venus celebrated its 7th year in existence on October 8th. This past week, I celebrated my 61st birthday on the 16th. This week, we celebrate Erin’s birthday tomorrow, the 25th. Happy Birthday, Shmoopy! 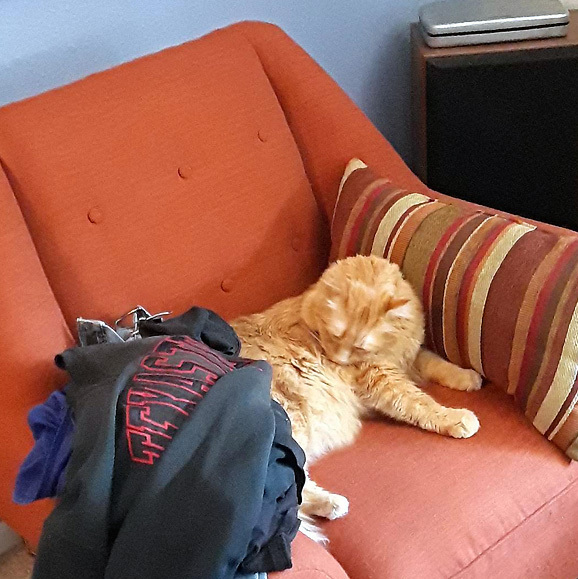 Cosmo, hangin’ out at the other end of the studio, being good for the time being… not biting any guitar/MIDI cables or AC adapter cords. …And congratulations to the Houston Astros on making the World Series for the first time since 2005 and congratulations to the Los Angeles Dodgers for making it to the WS for the first time in 29 years. We look forward to watching this series and it should be a good one. As my wife is a lifelong Dodgers’ fan – and rooted for my Texas Rangers in their two World Series appearances in 2010 and 2011 – that pretty much makes me a Dodgers’ fan. So… Go Dodgers! That all gets started tonight and did I read it right that the temperature is 101 °F. in LA today? Holy cow. Coming up in another couple of weeks, on November 5th, Erin and I will celebrate our 1-year anniversary as a married couple. As I always tell her, “Hey, this is the longest I’ve ever been married,” which always elicits a sarcastic chuckle of the “hardy-har-har” variety ’cause this is my first time on the whole marriage thing (first and will be my only time I might add). As mentioned earlier, Nights on Venus will be releasing a 3-song single just before Christmas, now entitled “Snow Day”. The new album, “We Are All Haunted by Something” has now been released. Includes the 2-song single “Speed of Life” and “Confirm Humanity (I’m Not a Robot)”. Now available on iTunes, Bandcamp, CD Baby, and Amazon MP3. Since the total eclipse on 8/21 this much and more has happened… wildfires in the west (pretty much unreported by mainstream media), catastrophic floods in Bangladesh, India, and Nepal (same there as well), hurricanes Harvey, Irma, and the continuing nightmare of Maria… in Texas, the South, East, Cuba and the Caribbean; the earthquakes in Mexico. In all instances, please help where you can. In a few years we will look back on 2017 as the last “normal” year climate-wise, and this year, this last month has been anything but normal. 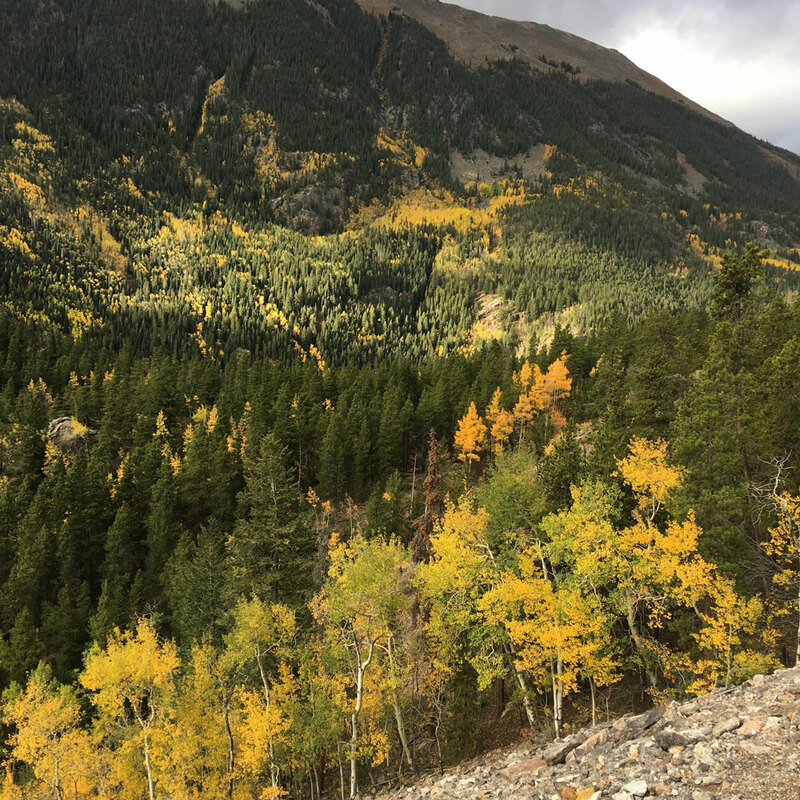 Climate change, and specifically, abrupt climate change is real – all too real. It is happening, happening now, and it is accelerating. I have added a couple more websites on climate change in the blogroll and suggest you check them out. The Robert Scribbler website in particular was extremely accurate in predicting that both hurricanes Harvey and Irma would intensify (dramatically) before making landfall. Hurricane Maria has been off the charts. Climate-deniers are just simply wrong – dead wrong. And they have been all along. Don’t listen to them. If you still have financial interests in fossil fuels at this late date, it is time to divest from those now. If anything is to be done or can be done at this point, carbon emissions must be cut drastically each year moving forward and that is only a beginning. 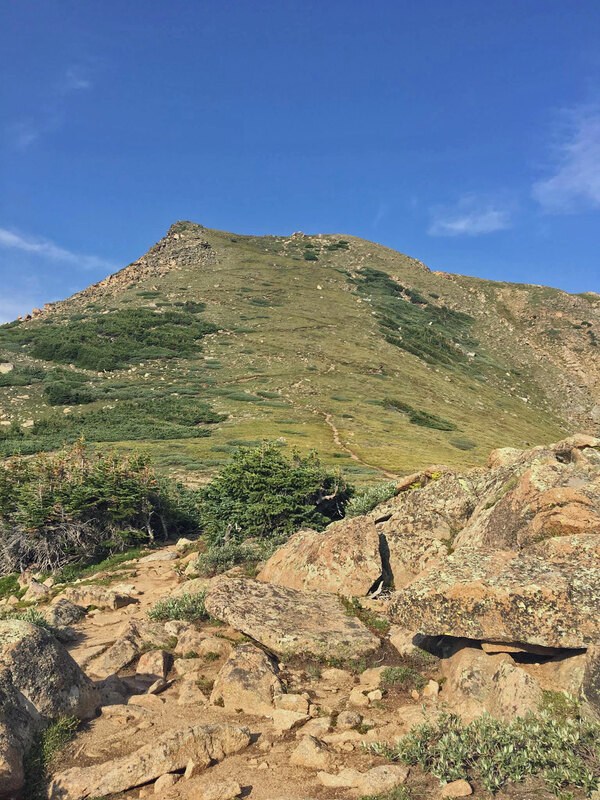 The second part of today’s blog: a look back at this summer, now that it’s officially gone, and some of the hikes we’ve taken recently, Erin and me. After June it has been mostly a dry, hot summer but not as bad as summers where there have been major wildfires here, like the summers of 2002 and 2012. 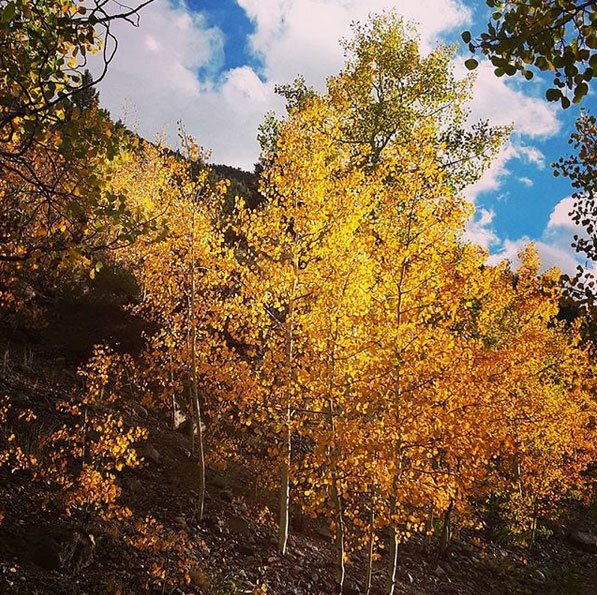 There have been a couple of wildfires recently (one near Steamboat Springs), but for the most part we’ve been fortunate this year. 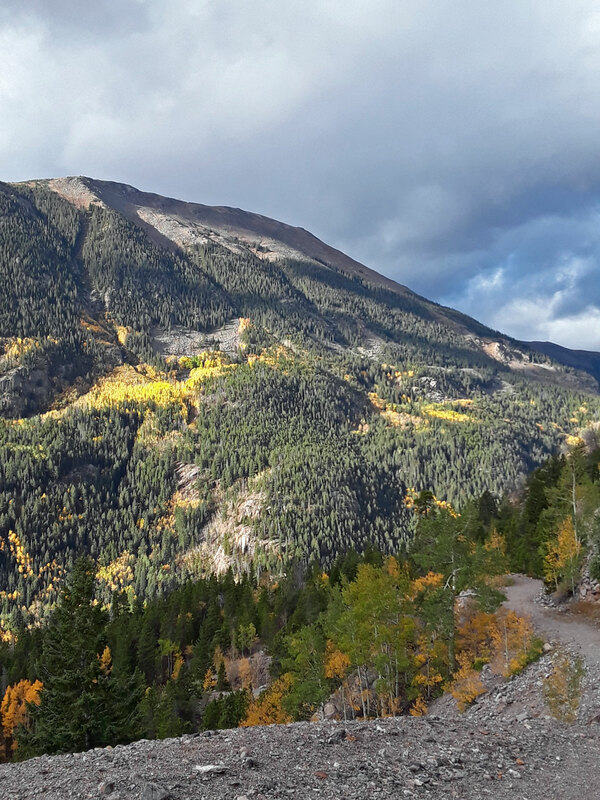 If you live here in the West, you know that can change quickly – wildfires one year, followed by flash floods the next. 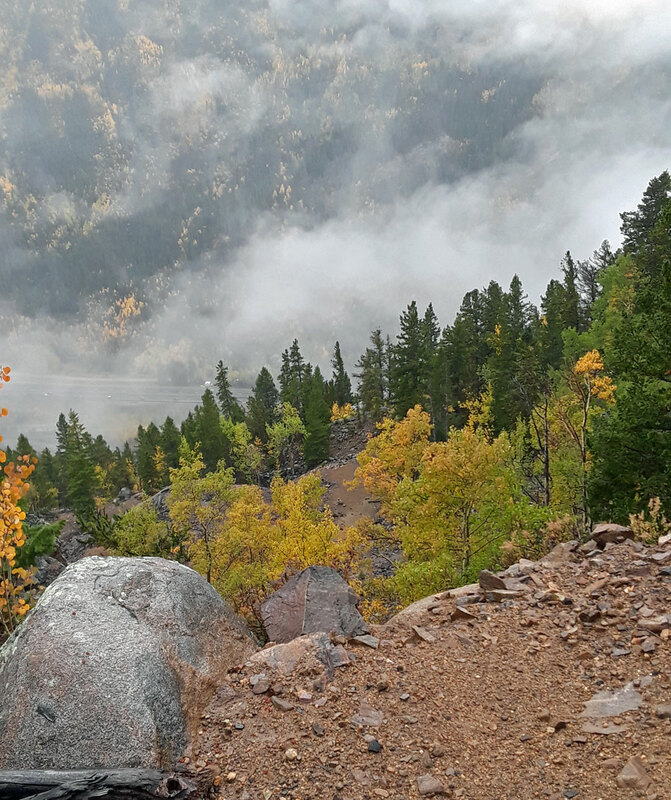 Right now in Golden, we’ve been in a foggy raincloud all day and we’re getting some much-needed light rain, thankfully, and it’s about 48 degrees F. (9 degrees C.). 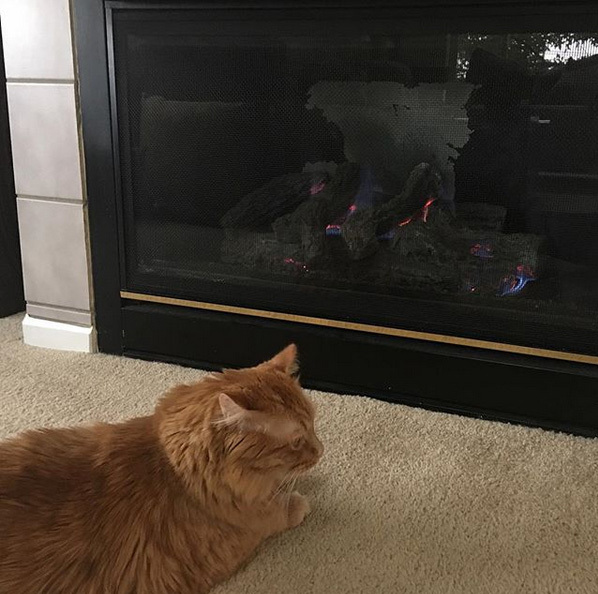 Actually it’s wonderful, and this morning we fired up the fireplace for the first time in the fall/winter season. It’s snowing up at A-Basin Ski Area this morning. 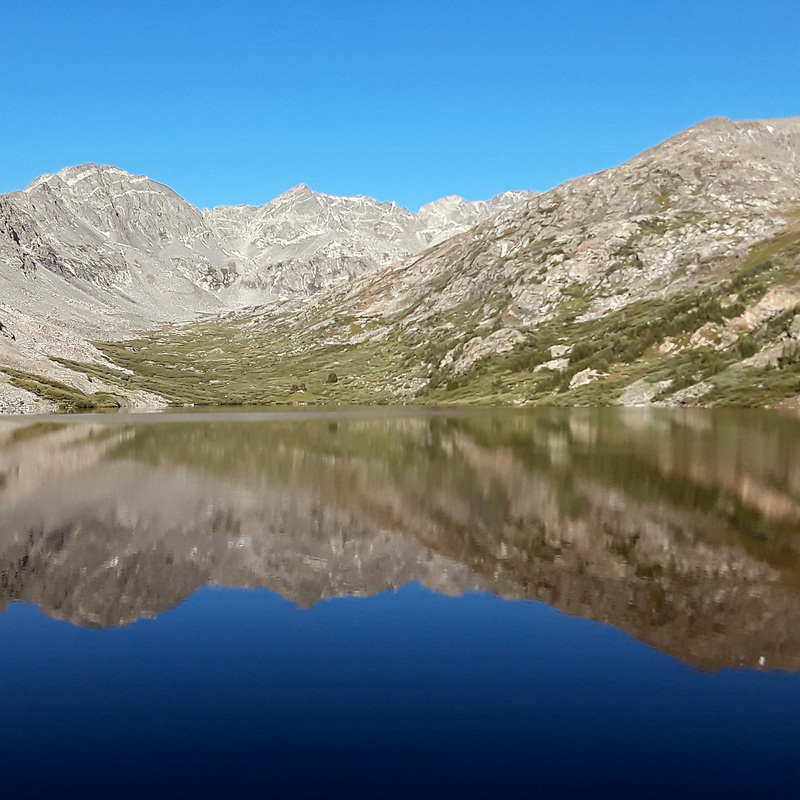 Here are some pics from our late summer’s hiking and though the snow is falling now in the high country and more of it soon, hiking isn’t over yet, at least until the end of October… And then there will be skiing/snowshoeing. 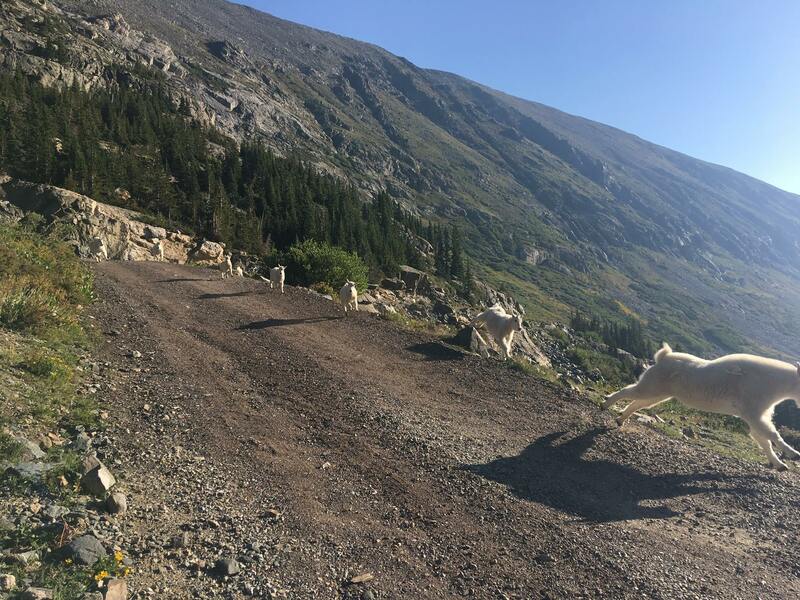 The Annual Running of the Mountain Goats at Upper Blue Lake, 2017… Photo by Erin Foley. 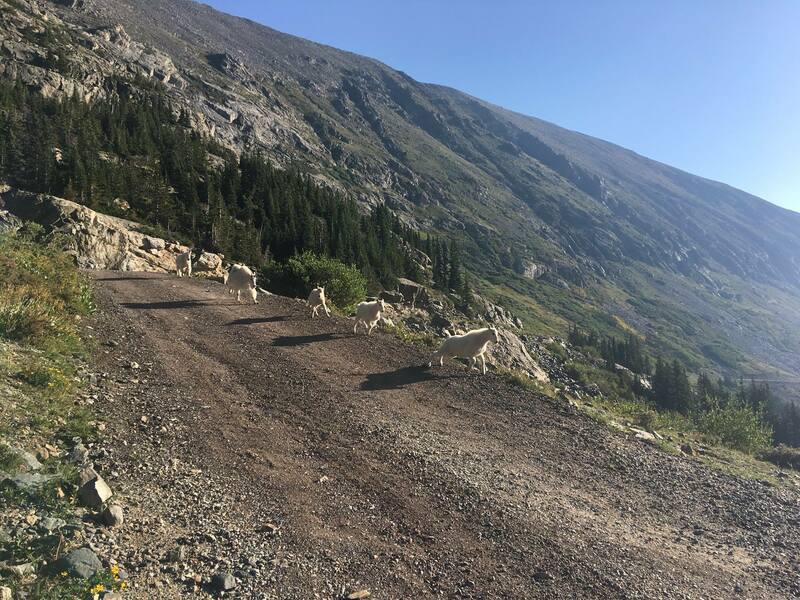 The goats running down the trail, seemingly, to meet us. 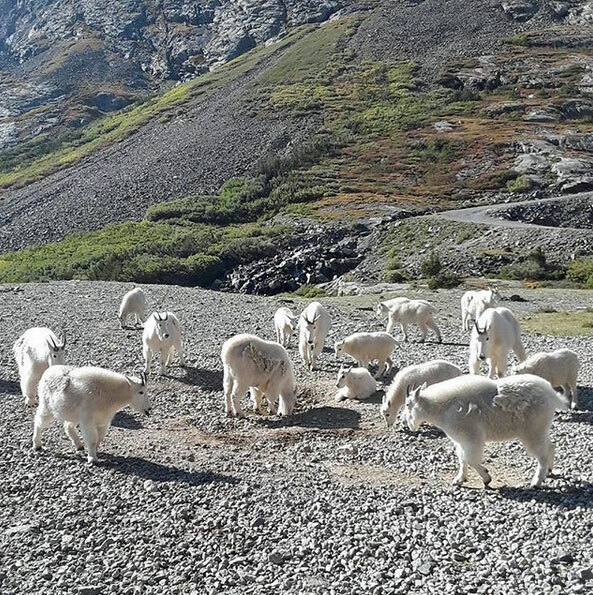 Which makes me wonder if people have been feeding them. If you do visit the Blue Lakes, however much you may want to, please DO NOT feed the wildlife. And not just here but anywhere. Thank you… Photo by Erin Foley. In early September the skies were smoky here, so we didn’t hike for a couple of weekends. 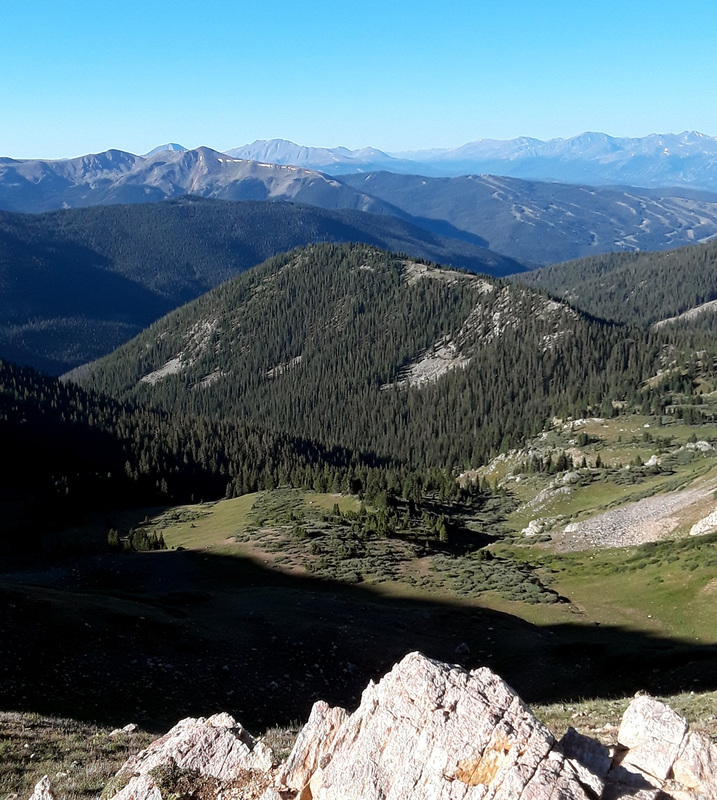 Here are a few shots up at Blue Lakes near Breckenridge and the previous week up on the West Ridge Trail from Loveland Pass. 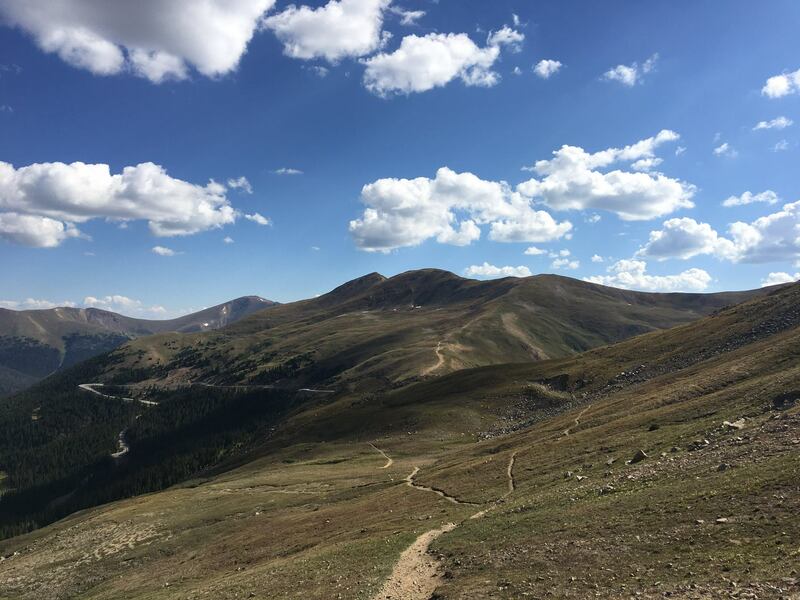 The West Ridge Trail from Loveland Pass… Looking back toward Mt. Sniktau, just to the right of center. 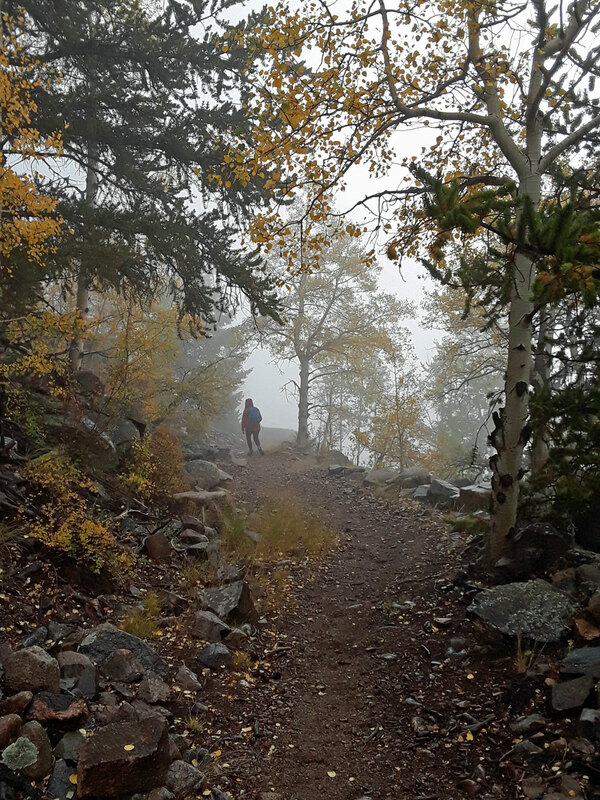 You can see the ridge, leading up to the summit at 13,234 Ft.
All sorts of weather on the trail yesterday… Sun, rain, fog. 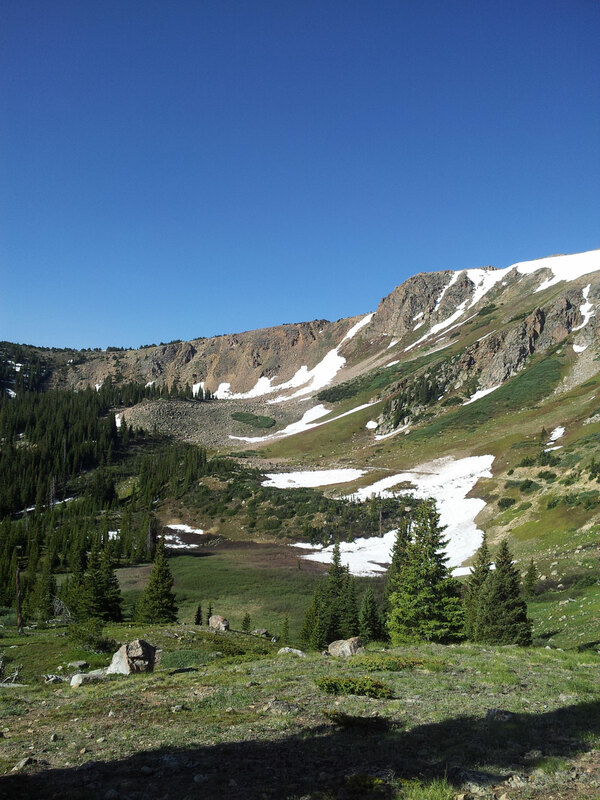 Looking down the avalanche chute toward I-70 below… This is a trail I’ve hiked many times. 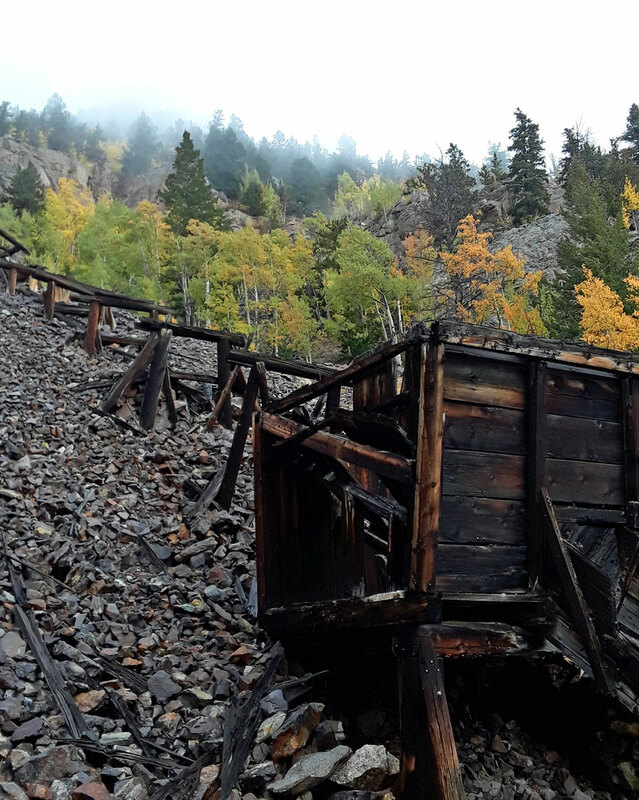 The dead wood in the avalanche chute appears to still be from a major avalanche that happened here in 2004. 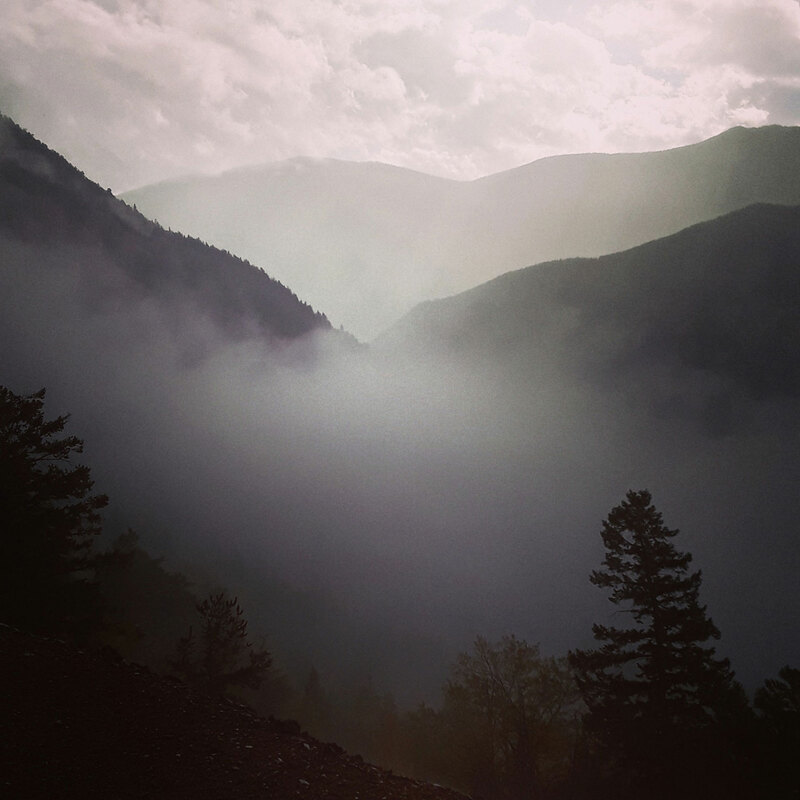 Mountains and fog… via Instagram. 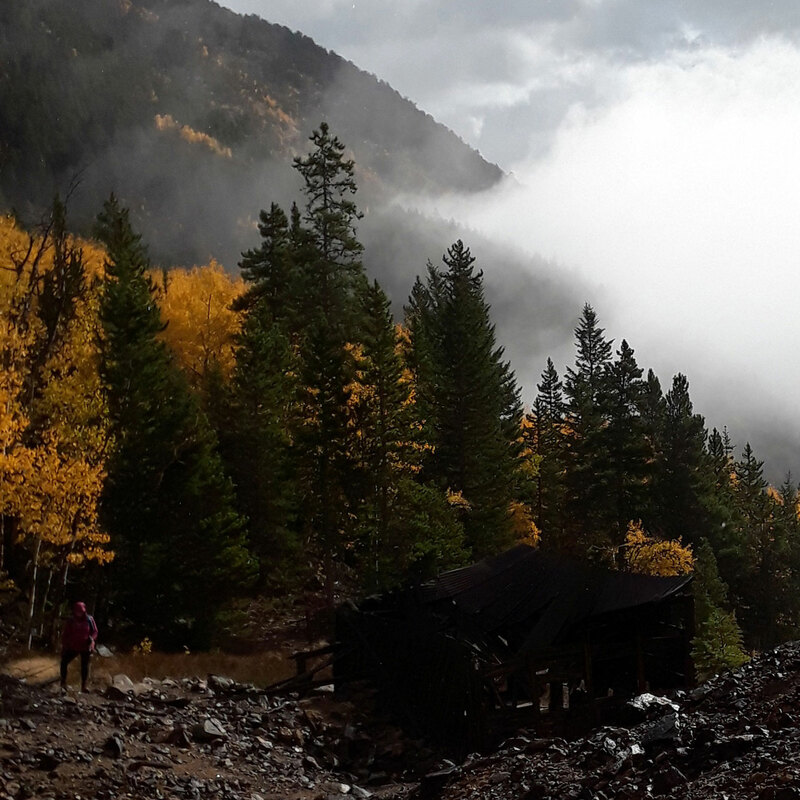 Golden aspens, mine ruins, fog, sun… what more could you want? Album cover for “We Are All Haunted by Something”, which was released on July 23, 2017. This is the old abandoned Apache Motel in Tucumcari, New Mexico – shot taken in 2009. The image of the night sky is from Justin Marsh, added with his permission. 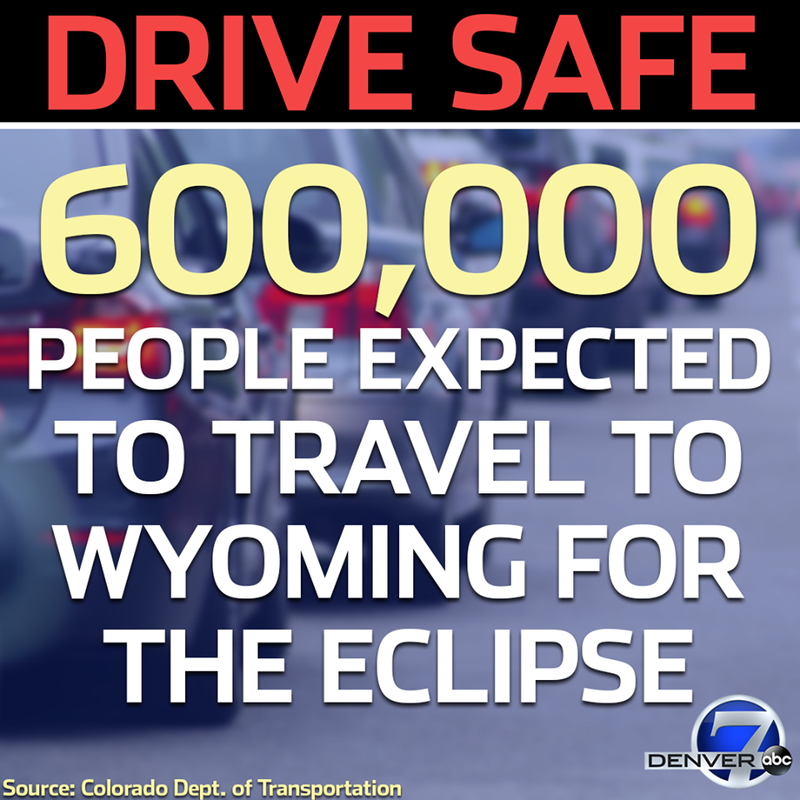 Courtesy of Colorado Dept. of Transportation (CDOT) and Channel 7, the Denver Channel. 600,000 freakin’ people… Hey, I told you Wyoming was booked up! And they will be on the road that day just here in this part of the country. In fact, that’s more than the number of people who actually live in Wyoming and call it home. Wyoming will double in population on August 21st. 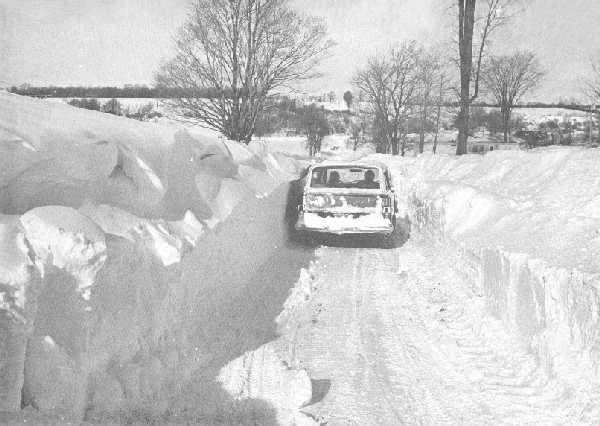 And I sure wouldn’t want to be heading up to Casper that day on I-25, usually a parking lot from Colorado Springs up to Fort Collins on good days… or Ogallala, Nebraska on I-76 and I-80, or on the road anywhere else. So we’re not. Motel rooms have been booked up for months, the prices steadily going up into the stratosphere of motel room pricedom. It is a once-in-a-lifetime event – that’s true (although I do seem to recall we had a partial solar eclipse in the early 1960s when I was at elementary school in Dallas that day and we made pinhole cameras out of cardboard boxes to look at it safely). Services and restaurants in all the small towns along the path of totality will most certainly be overwhelmed for that one day. Business will be good, pumping some much-needed money into the local economy… and chaotic. Path of the Total Solar Eclipse across America on August 21, 2017… Images courtesy of NASA. 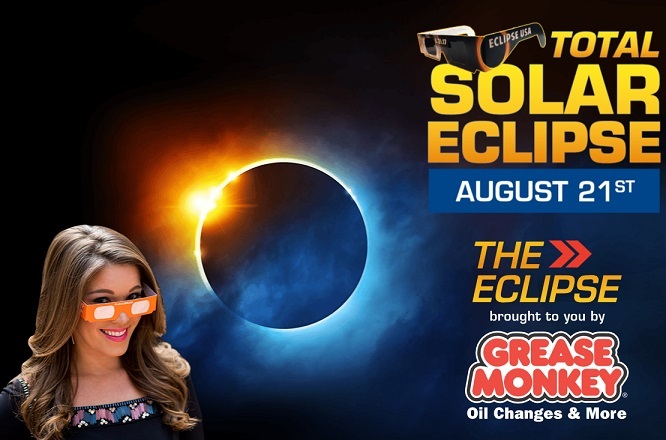 The eclipse, brought to you by… Grease Monkey? No… don’t think so, and now apparently, they’ve run out of the free glasses. Here’s the deal: whether you’re in Caribou, Maine or Yuma, Arizona (or even in Nome, Alaska and Honolulu, Hawaii), you’re going to see something of the eclipse. In parts of Canada and Mexico as well. It may be partial, but it’s going to get dark. How dark depends on where you are. Here in the Denver Metro/Front Range area, we will have 93% totality… so it’ll be plenty dark. How dark? Well, after the Moon, the planet Venus is the brightest object in the night sky and currently it’s moving through the sign of Cancer; above 97% totality you should be able to see it. It’ll also get anywhere from 2-8 degrees (F.) cooler, depending on the totality of where you are. Of course, when viewing the eclipse, wear the appropriate safety glasses/eyewear. Do NOT look at the eclipse directly or stare at it even with the glasses on. And it’s not a “Triple Dog Dare” moment. Here’s an excellent post on this. So yes, the eclipse is a very big deal. This is perhaps one time where the hype surrounding an event is actually justified. Hopefully if you have paid a fortune for a motel room wherever you go, it will not be cloudy that day. 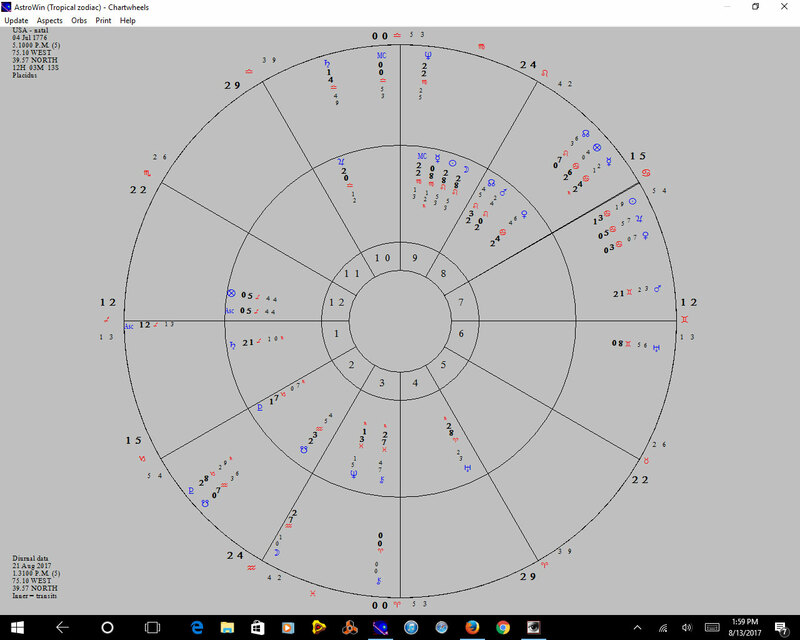 Natal chart of the U.S.A., July 4, 1776, 5:10 p.m…. Snapshot of August 21, 2017 at 1:31 PM, EDT. The total solar eclipse… note the Sun-Moon conjunction (new Moon) in the 9th house (Click to enlarge). It is interesting to note that this is only the 3rd coast-to-coast total solar eclipse in this country’s existence. The first two: 1776, when we declared our independence and became the United States of America, and in 1918, which marked the end of the first World War and when the short-lived League of Nations was formed. In the Transit to Natal chart above, the Sun-Moon – new Moon – conjunction occurs in the 9th house at 28 degrees, 53 minutes Leo. Aspects to: natal Pluto in the 2nd house (inconjunct), natal Moon in the 3rd house, opposition (wide orb, but significant I think, so allowed), transiting Uranus, 4th house (trine). Emphasis here is on the 9th house, which in the broadest sense represents learning on the level of identity – learning, or in this case, re-learning who we are. Applied to an entire country: learning/re-learning who we are as a nation. We literally have to decide who we are now at a time when we, as a nation, are at our most politically divided and polarized since 1860. In an individual’s chart, 9th house integration would usually occur through philosophy, religion, higher education, travels and long journeys – anything that would expand (Jupiter as the natural ruling planet of the 9th and Sagittarius) a person’s horizons intellectually and their own self-awareness and of the world they live in. The 9th house also symbolizes the principles (or lack thereof) that a person was instilled with – i.e., the law or social/moral code. Again, Jupiter. In the chart of a nation, this would symbolize the law, the code of ethics that guides a country, and would play out in the sociopolitical arena and also represent, along with the sign on the cusp of the Ascendant, the “face” that nation presents to the world at large. So some of what I’m going to talk about here has to do with law and those principles as they have come to the forefront at this particular time of the total solar eclipse on 8/21 in the U.S.
Eclipses themselves symbolize or signify an ending and/or a beginning. Where a solar eclipse occurs in a chart generally sets the tone for the next 4-6 months depending on when the next lunar-solar eclipse pair happens. Eclipses are also harbingers of change, sometimes profound change, and I would expect that is what we’re going to see over the next 6 months through the lunar-solar eclipse pair in February, 2018. I would go so far as to say that this is one of the most important 6-month periods ahead in the life of this country – especially in light of the events of the last few days – as we have now arrived at a crossroads. There also seems to be widespread awareness in this country that we have reached a crossroads now. This eclipse comes right as we have an existential crisis in government. The first thing I’ll say about this is that if you think these last 7 months have been chaotic, and they have been, the next month has the potential to be even more so. And then things should gradually stabilize more by February, 2018. Given the events now that have happened since last Saturday in Charlottesville, Virginia, the ending indicated here by this eclipse, is that this current “presidency” will come to an end. Trump will leave, or be removed from office within the next 6 months. It also would not surprise me if he resigned as early as Monday, August 21st, the day of the total solar eclipse. Being the total narcissist he has shown himself to be, it shouldn’t surprise anyone that he would try to upstage this once-in-a-lifetime astronomical event just to draw attention to himself. This is one possibility signified by the eclipse. That he would resign would be the “easy” way. The hard way? That’s where the aspect of the law comes into play. The Constitution provides remedies in times of crisis. Impeachment of course, is the one most people are familiar with, but that will take many months and does not guarantee removal from office. The most expedient way involves removal via Section 4 of the 25th Amendment. Trump has shown no interest in actual governing, only ruling, and he has nothing but contempt for the laws of the land. He thinks and acts as if he is above the law and also now faces several legal battles (e.g., the emoluments hearing on October 18th), in addition to the grand jury hearing on his alleged collusion with Russia to secure the election. In other words, the law is currently operating as it should, acting as a check and balance to someone who would run roughshod over it, but the laws of the land could be severely tested during this time and if Trump will not abide by them, then that becomes a constitutional crisis and a long drawn-out battle that this country, as we’ve known it, may not survive. This is not hyperbole. 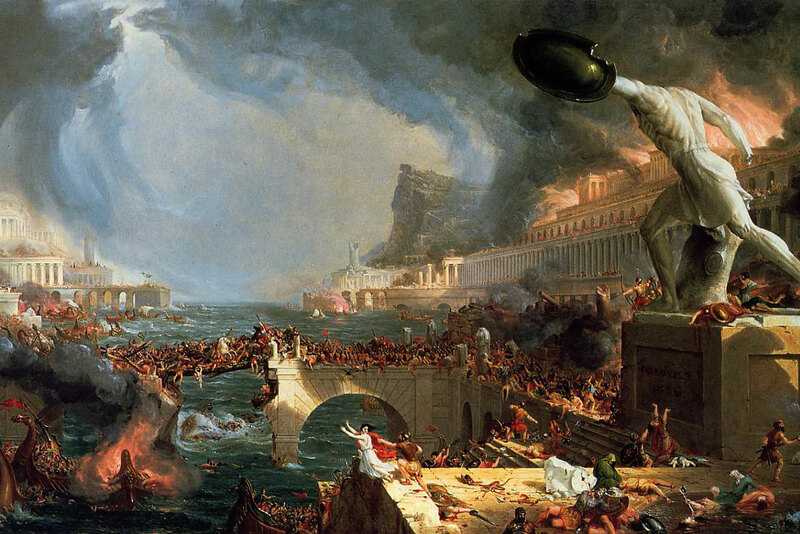 Thomas Cole (1801-1848): “The Course of Empire – Destruction”, oil on canvas, 1836. I hope he will take the easy way. That would be best for everyone, including him. In a very real sense, Trump’s “presidency” ended the day he did not denounce and disavow white supremacists, the KKK, and the neo-Nazis. What happens next is up to all of us. It revolves around some central questions: who are we as a country now? What kind of nation do we need to be and become? Certainly not the nation we’ve seen these last 7 months. The new album, “We Are All Haunted by Something“, has now been released officially as of 7/23/2017, on the night of the New Moon in Leo. In a few weeks, the next New Moon… is also in Leo, which is something of a rarity, astrologically speaking, though it does happen every few years, and this is also the Total Solar Eclipse which will be occurring across the U.S. on August 21st. 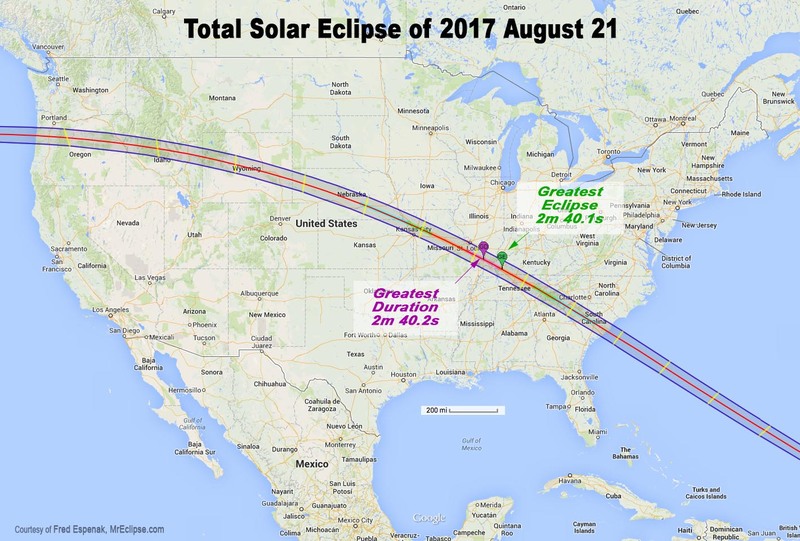 Path of the Total Solar Eclipse across America on August 21, 2017… In typically American (exceptionalist) fashion, it is being called the Great American Eclipse. Image courtesy of NASA. Click on the image to enlarge. Erin and I will be here in the Denver metro area viewing the partial eclipse which will be fine. We’ll both be at work that day and it will get all dark and eerie for about half-an-hour. I had made reservations in Ogallala, Nebraska a while back (only because Wyoming was already booked up), then watched as the hotel jacked up the prices every few weeks, saw what we would be paying, until I finally cancelled, and now I see that Nebraska is sold out as well. I have no idea what the going rate is now other than exorbitant (also in typically American fashion, i.e., greed). 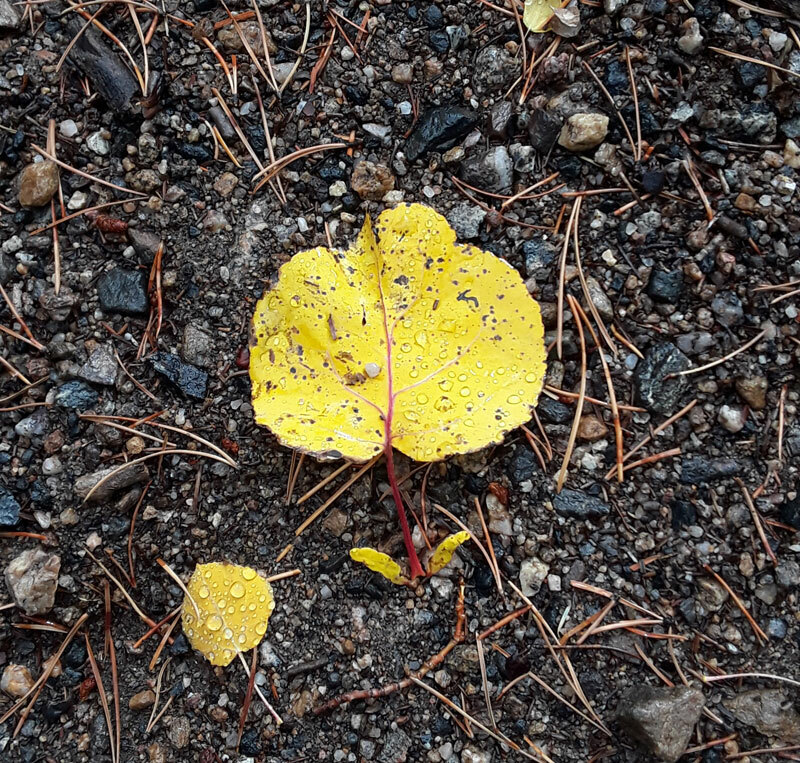 It is a Sunday afternoon right now and we are having a thunderstorm here in Golden – a good soaking rain which is always welcome in what is usually a dry summer, now as we head into August. Everything still looks green. Almost done with summer… thankfully. 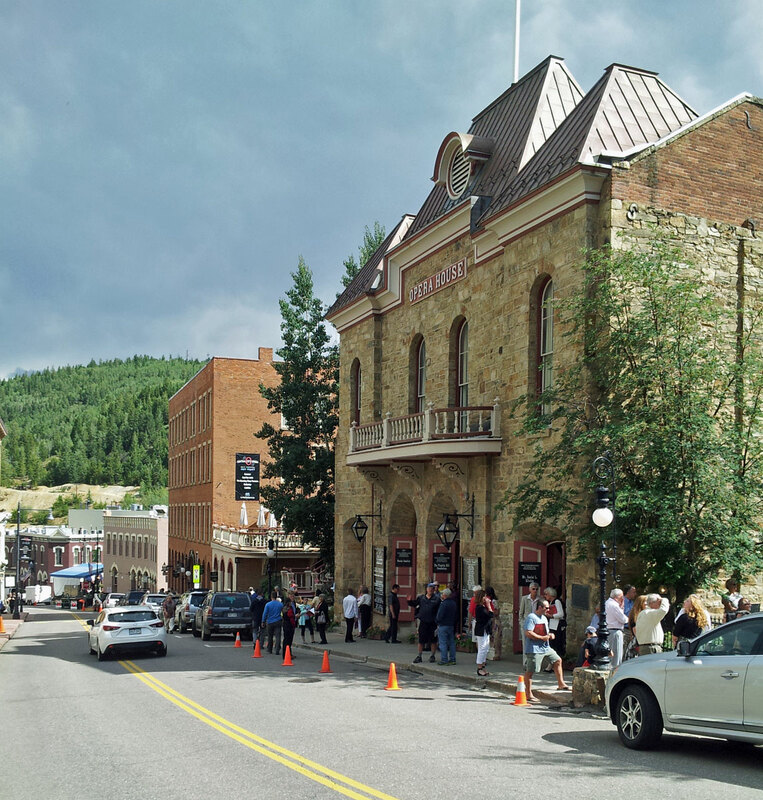 The last couple of weekends we’ve gone up to Central City in the mountains… to see the opera. The Central City Opera is now in its 85th season at the opera house, a national historic landmark that was built in 1878. We saw “Carmen” by Georges Bizet, then Mozart’s “Cosi Fan Tutte” yesterday… both excellent productions. 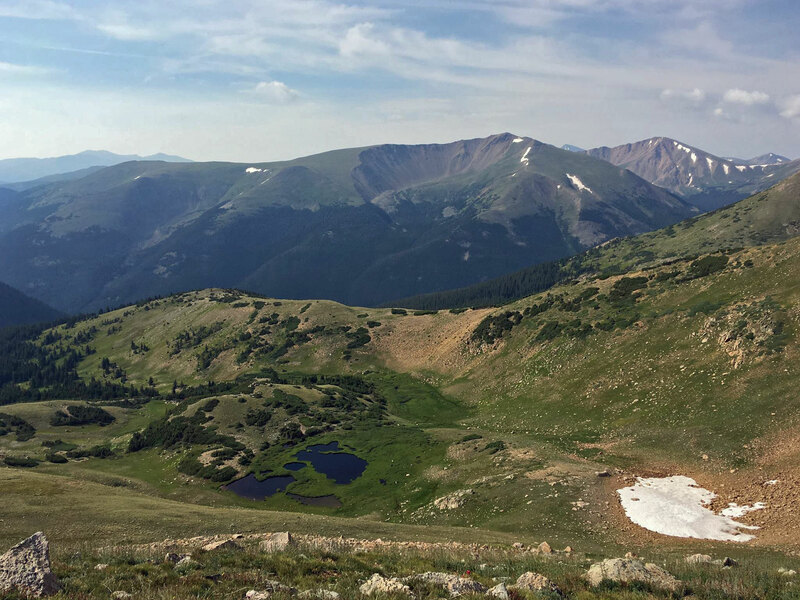 If you’re here in the Denver area during July and August, I highly recommend going up there to take in a performance. Year in, year out, they are at the very top of summer opera companies in the U.S. so go see them. I am taking something of a break for the time being, but usually that never lasts long. Originally, “We Are All Haunted by Something” was to be a double album and there are 9 songs in various stages of completion that didn’t make it onto the album as released. I will be working on those, finishing them up over the next couple of months and hope to have 4-5 completed by mid-November to release as a follow-up EP sometime in December, possibly also as a 2-disc CD offering. The new album, “We Are All Haunted by Something” has now been released. Includes the 2-song single “Speed of Life” and “Confirm Humanity (I’m Not a Robot)”. “Speed of Life“, “Unearthly“, “Santos“ and all previous Nights on Venus albums are available as MP3 digital downloads on Bandcamp, CD Baby, iTunes, Amazon MP3, and the NoV Website. Funny… All these years (since 1980) I thought that lyric – written by David Byrne – was “time is an asterisk“. Or, put another way: “time is an *…” where the ‘*’ was some kind of x factor or unknown variable. That was always kind of intriguing and carried a certain mystery about it. What would that phrase mean? Maybe that time is extremely fluid and entirely personal. The venerable Little Bear Saloon in Evergreen, Colorado… Memorial Day, 5/29/2017. I practically lived here in the 1990s, especially when I actually lived in Evergreen for a few years, then worked here in the early 2000s. My friends and I used to joke about how when we all turned 60, in the far off distant future, we’d all still be going to the Little Bear, except now it’s no joke – I am 60 and I am still going to the Bear. Life’s little self-fulfilling prophecies. 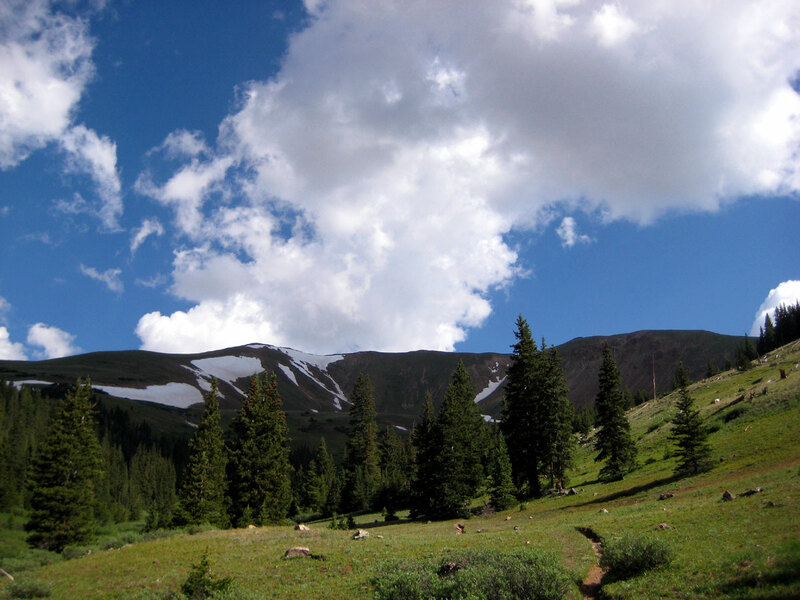 The hike up Second Creek near Berthoud Pass and the view from the Broome Hut just below timberline. Time is an asterisk could have been a song title on the soon-to-be-released new album in a couple of weeks since so many of the songs on there deal with the subject of time. “We Are All Haunted by Something” has gone to mastering in the time since I last posted and I apologize to readers for not posting during the month of June and being away for so long. It also kind of freaks me out a little that we are now past the midway point in 2017, that we’re 9 days into July, as this seems (to me) to be the fastest-moving year I can ever remember. Maybe other people have been and are feeling this too. This year just seems very accelerated, way too much. 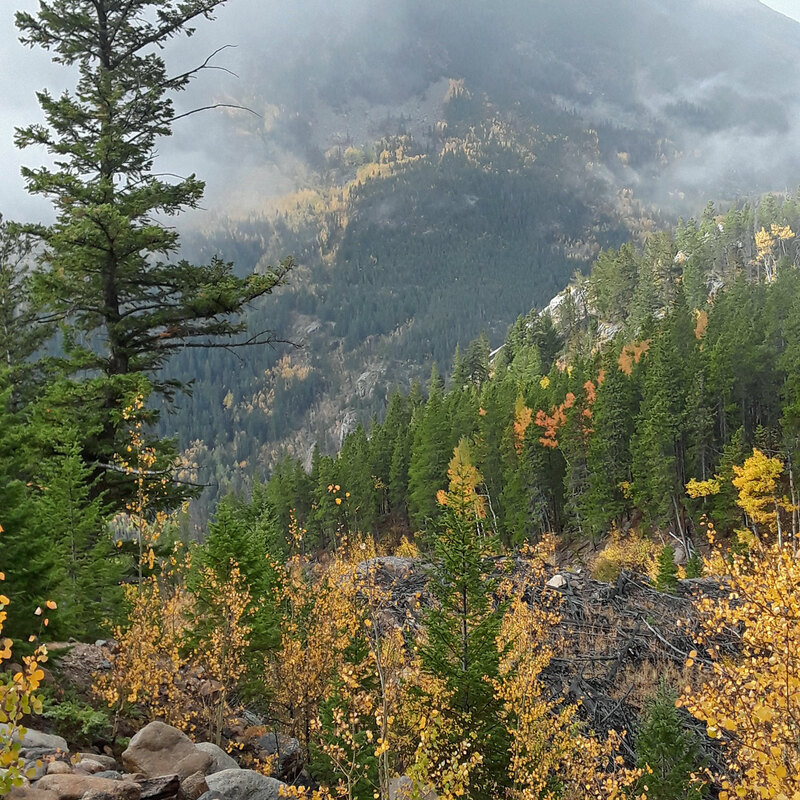 Erin and I have been hiking most weekends, working the rest of the time. 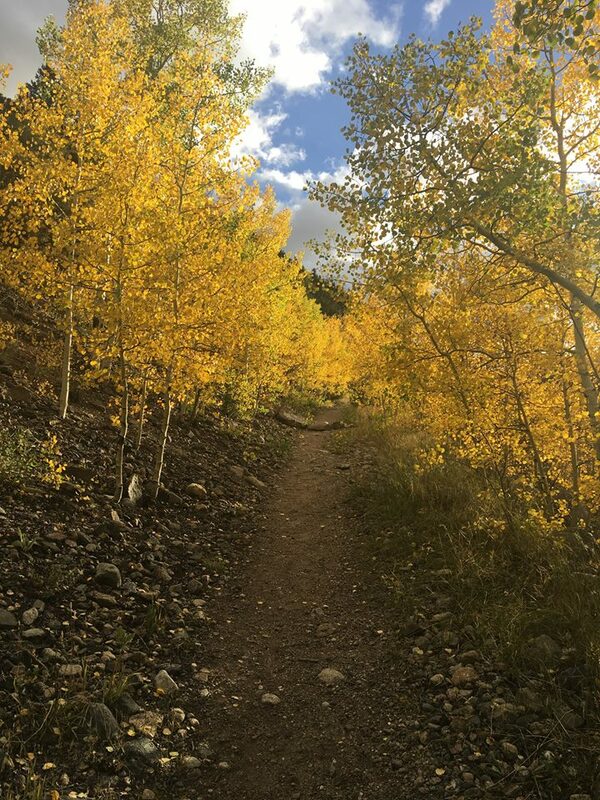 Hiking and working, but now – for the most part – I can slow down a little. Only time won’t let me. But who, I said who, who stands for time? Who stands at the threshold of time? Who decides what is true and what is not true? 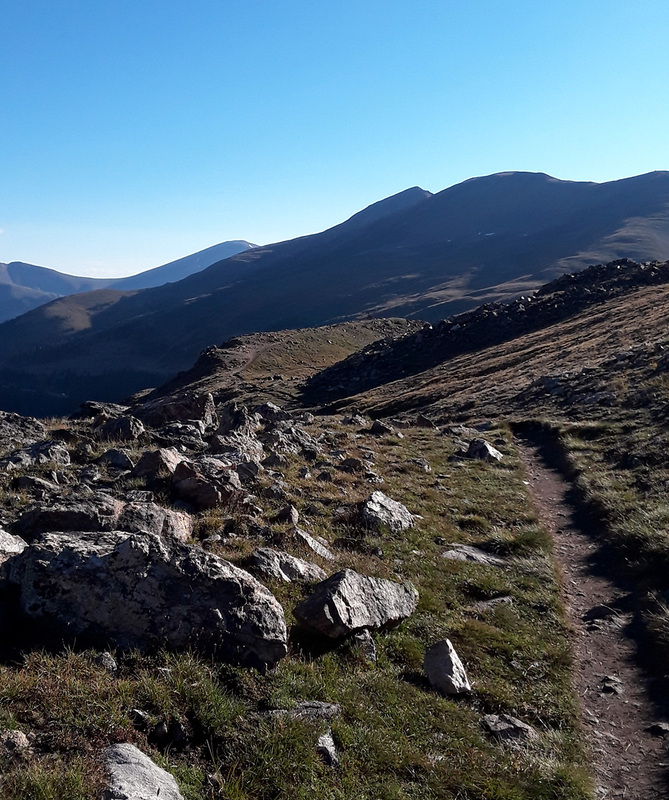 From our most recent hike yesterday on an absolutely perfect summer day, up Watrous Gulch near the Continental Divide at Loveland Pass. 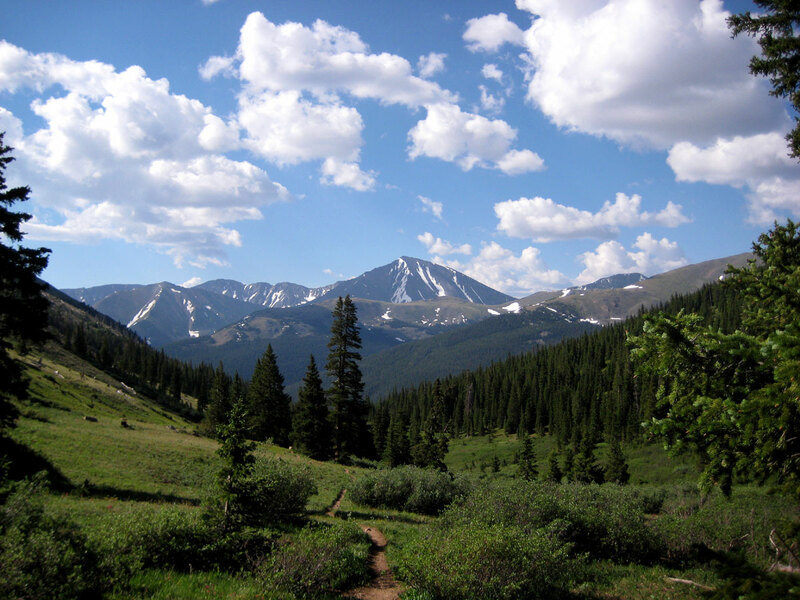 14er Torreys Peak (14,267 ft.) is the high mountain in the center just a few miles away. I think what we are most haunted by – even more so than our eventual demise in the physical – is time. 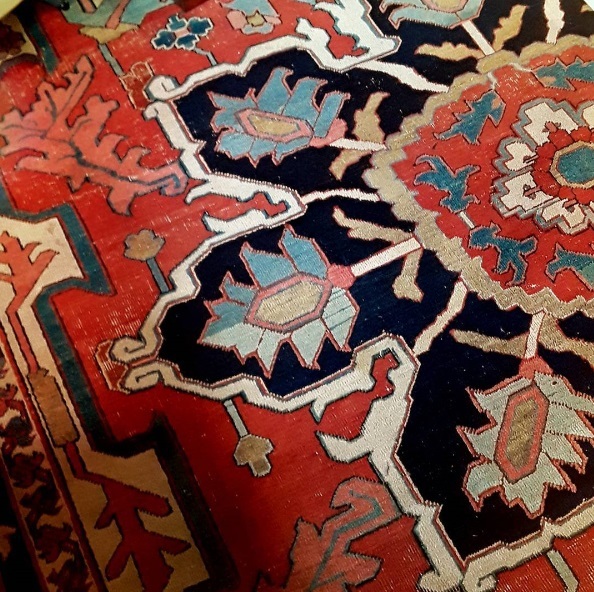 Our perceptions of it, through the passage of time and we speak of its ravages (on the physical form), or when we feel like there’s never enough of it or alternately when we have too much of it on our hands. 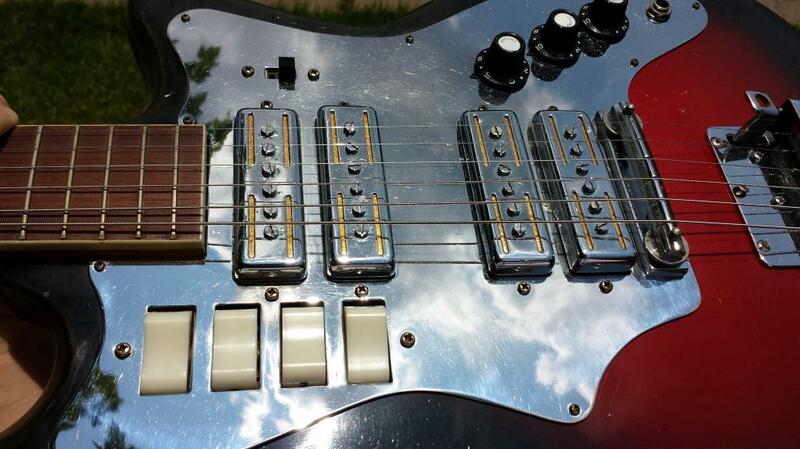 “There Is Only Now” was the first song I recorded for what would become this album. Shortly after that, Prince died on April 21st. I had no idea then that his death would have such an effect on me. It literally threw me, my thoughts, back in time to the summer of 1984 and a very intense experience which his classic album “Purple Rain” was the soundtrack for. That was completely unexpected. 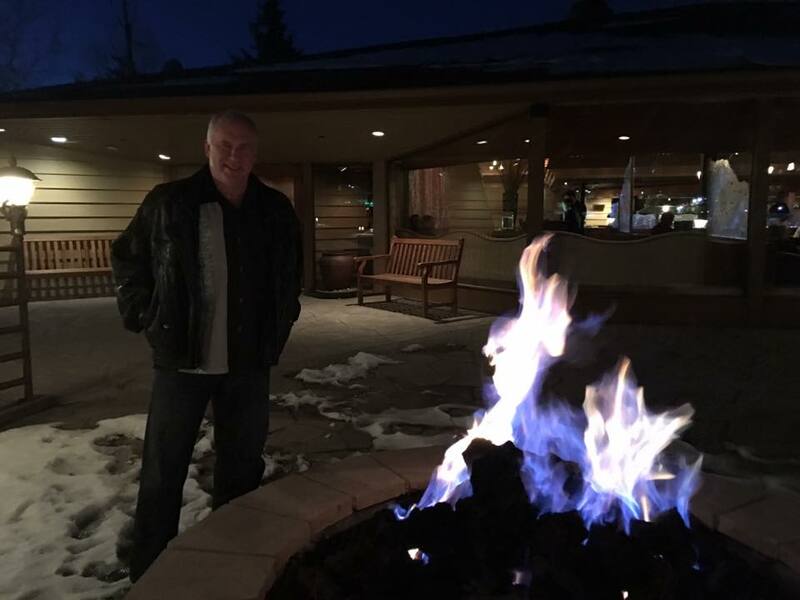 Much of the new album was written and recorded during the time last year when I was revisiting a lot of memories and specific events from that summer 33 years ago now (e.g., “Ghost Towns of the 1980s”). 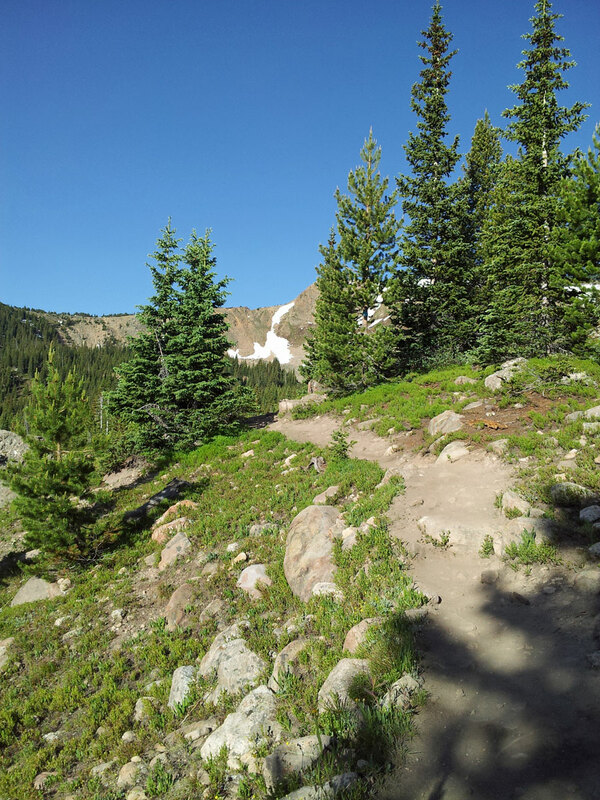 The trail up Chief Mountain, Continental Divide in the distance. 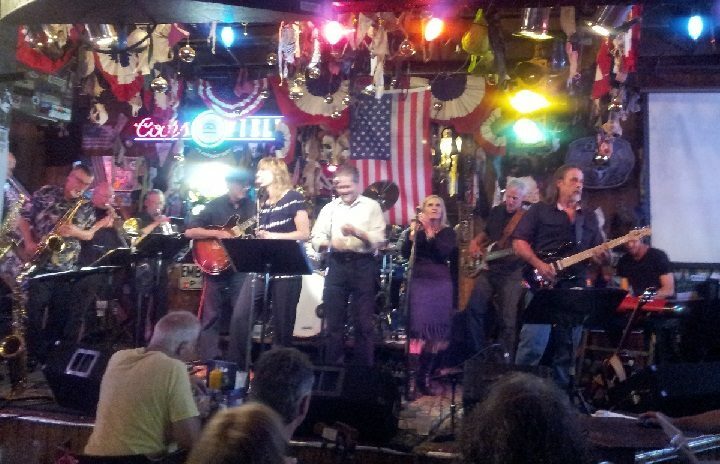 My Old School, Steely Dan tribute band, at the Little Bear. They’ll be there again next Saturday, 7/15. Excellent band. 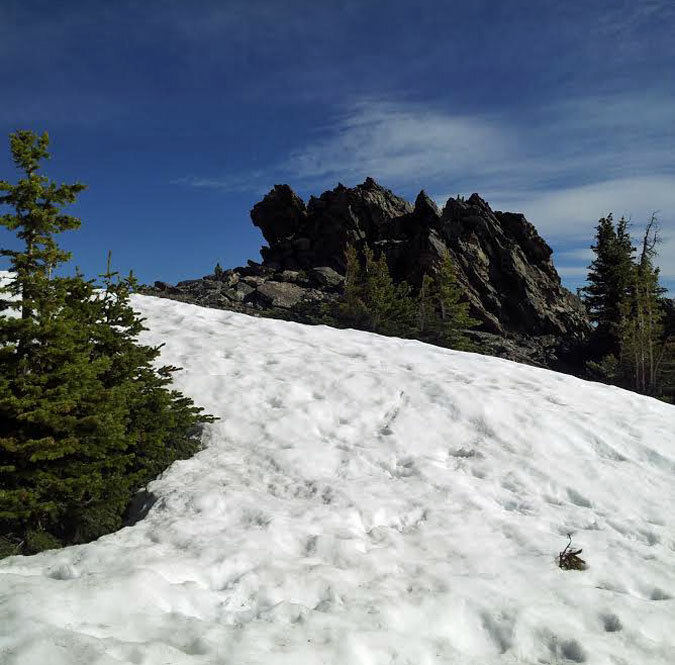 At the summit of Chief Mountain, June, 2017. 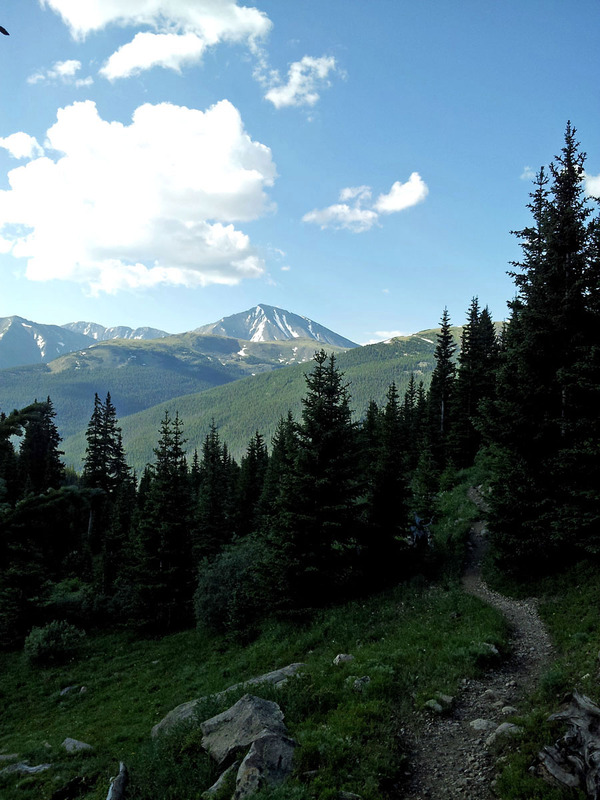 Hiking up the trail on Second Creek, 7/1/2017. 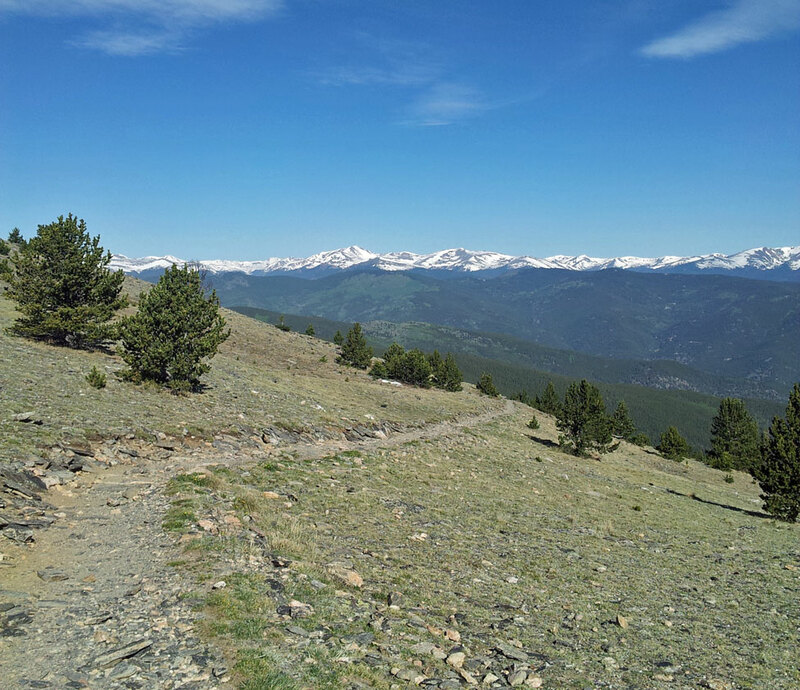 The Watrous Gulch trail, Torreys Peak in the distance… 7/8/2017. The new album, “We Are All Haunted by Something” is coming soon. Release date is set for July 23rd. 14 songs… including the 2-song single “Speed of Life” and “Confirm Humanity (I’m Not a Robot)”. ‘Til then, “Speed of Life“, “Unearthly“, “Santos“ and all previous Nights on Venus albums are available as MP3 digital downloads on Bandcamp, CD Baby, iTunes, Amazon MP3, and the NoV Website. Follow Craig and Nights on Venus on Twitter and Facebook. As we move further into the spring of 2017, I’m currently finishing up the mixes on a couple more songs – “Hours Turn Into Years” and “Unusually Vivid Experience (UVE)” – for the new album, “We Are All Haunted by Something“, scheduled for release on June 24. This is the homestretch now. There are two more songs to go, to be mixed and pre-mastered, along with any remaining tweaks on the completed songs, by Memorial Day weekend, roughly a month-and-a-half away. I’m sweating this one out right now and hoping I don’t have to push the release date out another month or so. The album is finishing up on schedule but there have been some personal/family issues; I will have a better idea of where things stand next week after we return from our trip to the Big D… Dallas. Preliminary album cover for “We Are All Haunted by Something”, scheduled for release in June, 2017. This is the old abandoned Apache Motel in Tucumcari, New Mexico – shot taken in 2009. The image of the night sky is from Justin Marsh, added with his permission. Further details about the bonus track, if it is to be included after the finished recording, will be divulged later, prior to the album release. For now, 13 finished songs over the course of the last year. And this project has now taken almost a full year going back to when it began the last week of April, 2016. As for the album title, I’m not sure now when exactly the working title became what I was going to officially call the album when it would be released. I know it was very early on in the process as I was writing and recording the songs. And a lot of these songs seemed to organize themselves loosely around the theme of Time. The passage of time or a particular era of time can definitely haunt us because we’re very much influenced and bound by it. Also Place, which must be the reason why some places in our past we refer to as “old haunts”. I’ll revisit some of the process and thoughts behind what’s been going on for the last year and on this album closer to the release date. Oh, an update on the broken big toe (see previous post)… it’s pretty much healed at this point, just in time for hiking season. 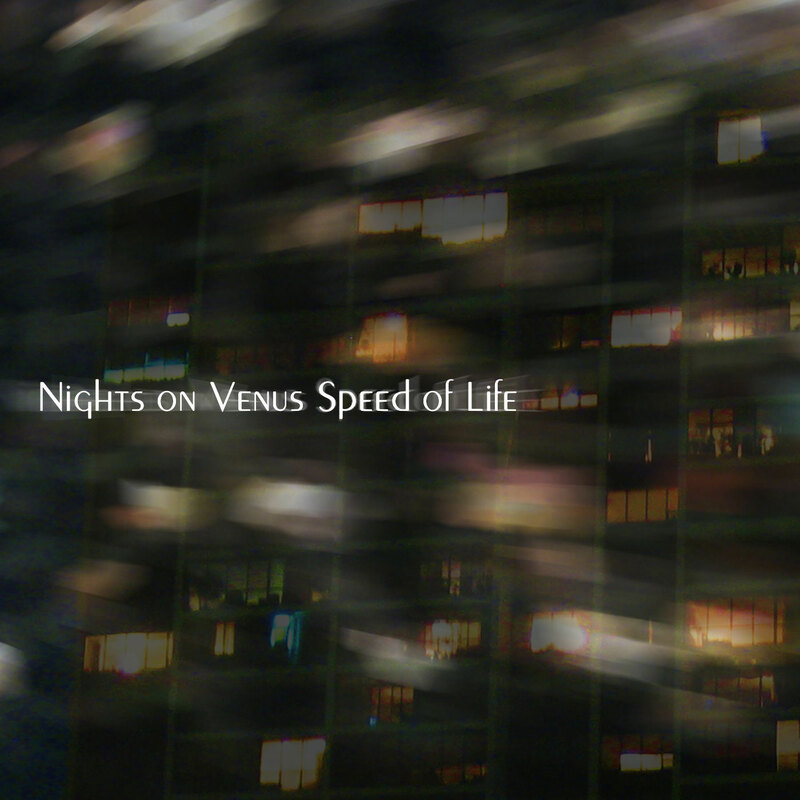 “Speed of Life” is the most recent offering from Nights on Venus. 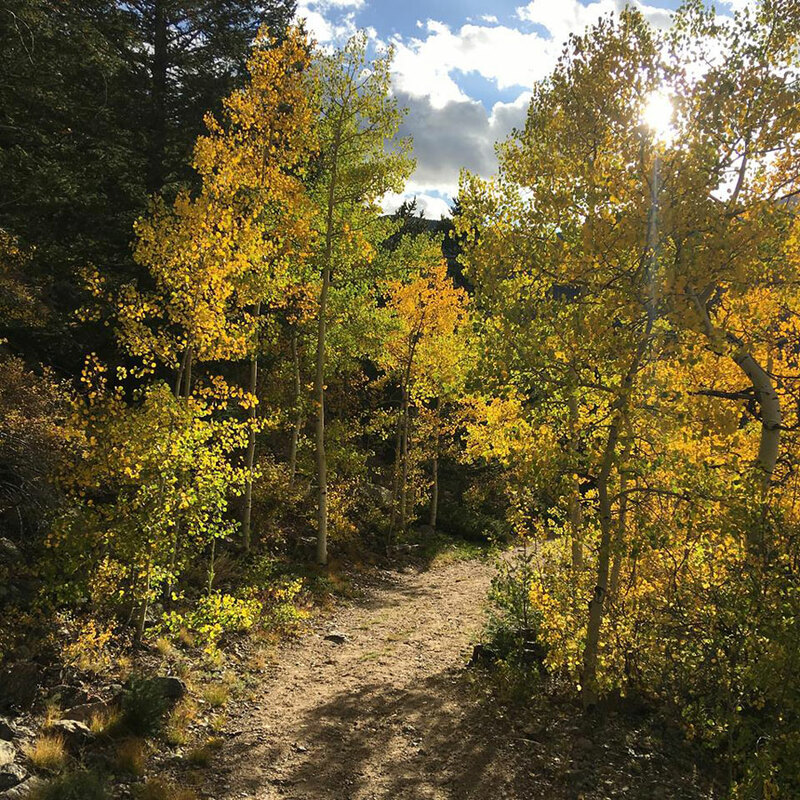 The 2-song EP was released on October 9, 2016 and is available on Bandcamp, CD Baby, Amazon MP3, and iTunes. “Unearthly“, “Santos“ and all previous albums are available as MP3 digital downloads on CD Baby, iTunes, Amazon MP3, and the NoV Website. Follow Craig and Nights on Venus on Twitter (@xlntsky). Nights on Venus Blog at WordPress.com.